Ted Bundy: In a killing spree that spanned five years, Ted Bundy kidnapped, murdered and mutilated hundreds of women. Both handsome and charismatic, he was virtually undetectable and changed the mass murderer profile forever. His story will disturb you. And it all happened right before our eyes. Step into the mind of a psychotic madman and ask yourself, if it were to happen again, would you see him coming? Dahmer: A butcher. An animal. A monster. Jeffrey Lionel Dahmer (Jeremy Renner) was vilified when authorities discovered he murdered, dismembered, and even tried to consume the bodies of 17 young men in Milwaukee, Wisconsin. But is there such a thing as a human monster? Starting somewhere between popular legend and historical fact, Dahmer dares to explore the truth of a man many called an abomination of nature, but who was most decidedly a living, breathing person. Inspired by life events, it takes you into the demented world of this lonely factory worker and examines the ways in which his twisted personal pain led to the most self-destructive extremes of human cruelty. 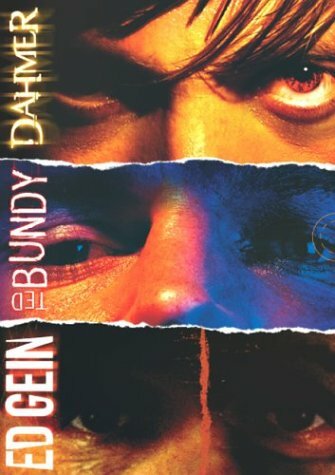 Ed Gein: Based on the true story of America's first famous serial killer. Everyone in small Plainfield Wisconsin thought Ed was just a little different, a local oddity. But Ed was tormented and haunted by years of family abuse and repression which led to the brutal murders and mutilations of countless victims and corpses. In a remote farmhouse filled with the stench of death, Ed is driven to do unspeakable acts to his victims, acts that have become legend and the basis for future films like Psycho and the Texas Chainsaw Massacre. This film will shock you with its unflinching horror, and unforgettable performances from Steve Railsback and Carrie Snodgrass. No one will ever forget the true story of Ed Gein. If you have any questions about this product by Alchemy / Millennium, contact us by completing and submitting the form below. If you are looking for a specif part number, please include it with your message.